When you’re outside for several hours, even in the shade, you’re bound to get thirsty. 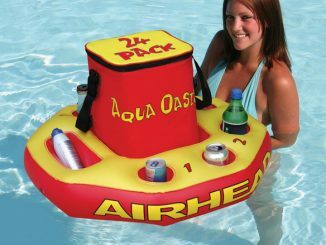 The 16-quart cooler floats right next to the Islander to provide cold drinks that are always within arm’s reach. The person sitting next to the cooler might have to work harder than others, but it could be an advantage being close to the cooler for easy access. Relax on the Cabana Islander, a one-of-a-kind island for up to 6 people to enjoy. 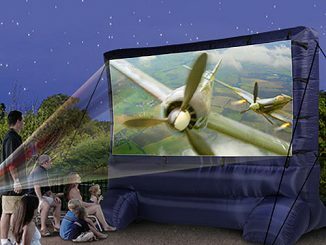 Constructed of heavy-duty K80 PVC with a detachable wind-resistant nylon cabana top to keep you in the shade. Speed Safety Valves deliver the fastest inflation and deflation possible. 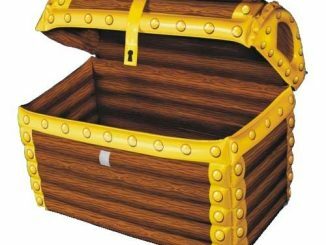 The anchor system will keep you from floating away. 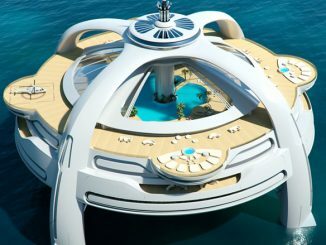 Also includes a center swim porthole, boarding platform for easy access and a floating 16 quart cooler that can be tethered to the island. 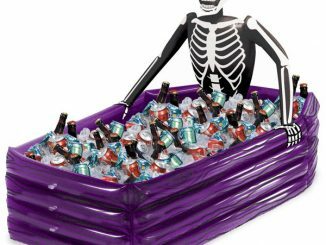 The 16 quart cooler includes zippered lid, cup holders, rope grommet and molded handle. 108″ x 82″ (deflated). The anchor system is good to use in case you don’t want to drift too far away near the sharks. 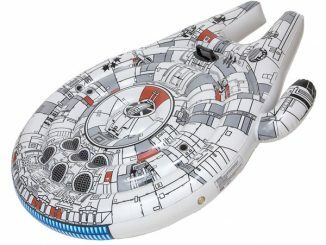 The boarding platform makes it easier to climb aboard and debark, since this float is all about taking things easy. 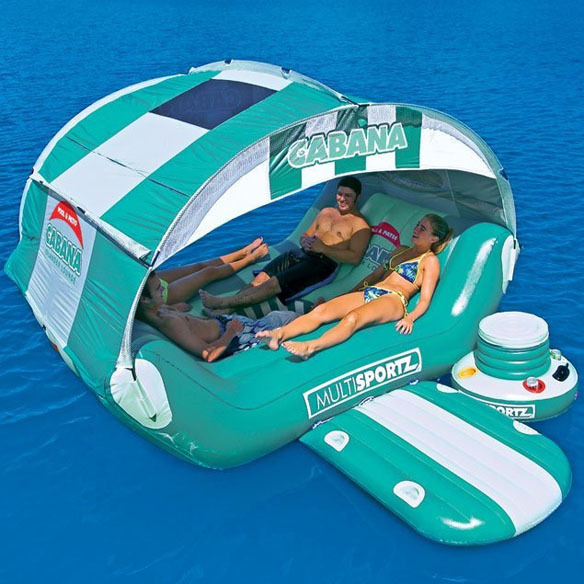 The Cabana Islander Pool Float is $499.99 at SkyMall and from $300 at Amazon.com. 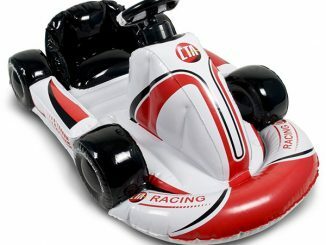 Check out these other unique pool accessories: Inflatable Walk On Water Mat, Kai Pet Pool Floats, Portopong Inflatable Beer Pong Table and Floating Nuclear Globe. 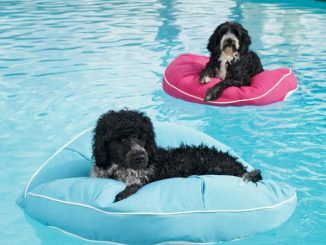 If you’ve been spending a lot of time in the pool this summer trying to beat the heat, then you might want to get a chair so you can relax and float. 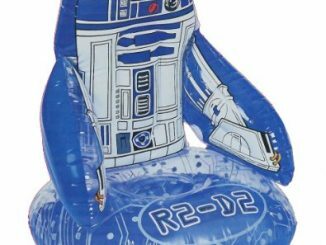 This geeky Star Wars R2-D2 Junior Inflatable Floating Pool Chair is perfect.